Time to get your grimey windows sparkling again so you can envy the view! Call A Perfect View today for a free window cleaning estimate. We are a high end, high quality, affordable window cleaning company. The owner Christian Laddusaw is at most jobs being sure everything is being done to his high standards. If he can't be there, his staff is just as picky, trained for years by Chris himself. We are cleaning out gutters, washing windows, and pressure washing exteriors of homes (along with decks, patios, and walkways) in the Chanhassen area on an almost daily basis. We would love to come out to your home to give you a free estimate for all of your exterior home cleaning needs. Chanhassen is a community filled with a wide range of homes and windows. At A Perfect View we are staffed and equipped to handle all jobs, big and small. 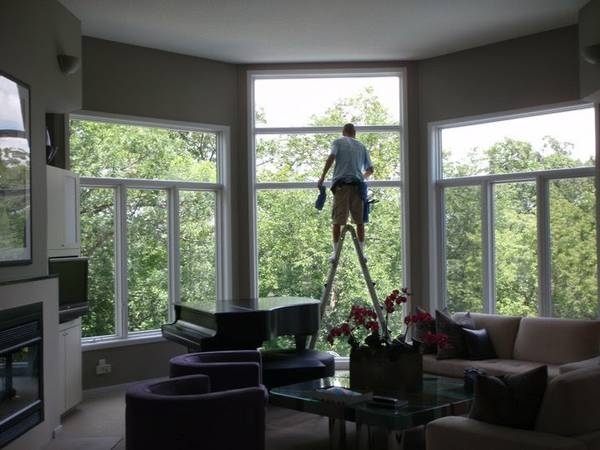 We will be in and out of your home in no time (while doing a very thorough, high quality window washing job) so you can get back to enjoying your day!